If you are looking for a hotel like Buckingham Palace we are not the hotel for you. We are a small family run hotel that wants you to explore more and do more in the city. After a long day, you can come to your cozy and warm room to have a shower, a cup of tea and sleep tight. Every Sunday, they walk (Arthur & Emmanuel) to Kings Cross and have a Cappuccino and Americano there. You can guess who drinks what. King’s Cross St. Pancras has the shortest lift at 2.3 meters. This is us. This is our story. However, although we might come from different backgrounds, we do have a couple of things in common; kindness, compassion, caring are shared human experiences. Add to that, we all desire certain things such as safety, unique experiences and the need to be loved. We also like to travel, to visit new places and we certainly hope to be able to get the most out of our trips. We travel into the unknown planning on that cozy haven for a couple of days and hoping to experience the city like never before. And for sure, we want to spend more time enjoying the city than wasting it in transport. 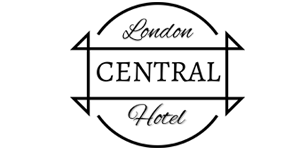 As soon as you walk out of the Central Hotel you feel the breeze on your face from the vibrant city centre of London. You take your first steps and on your left hand side you see the magical Kings Cross Station featured in many books and films. 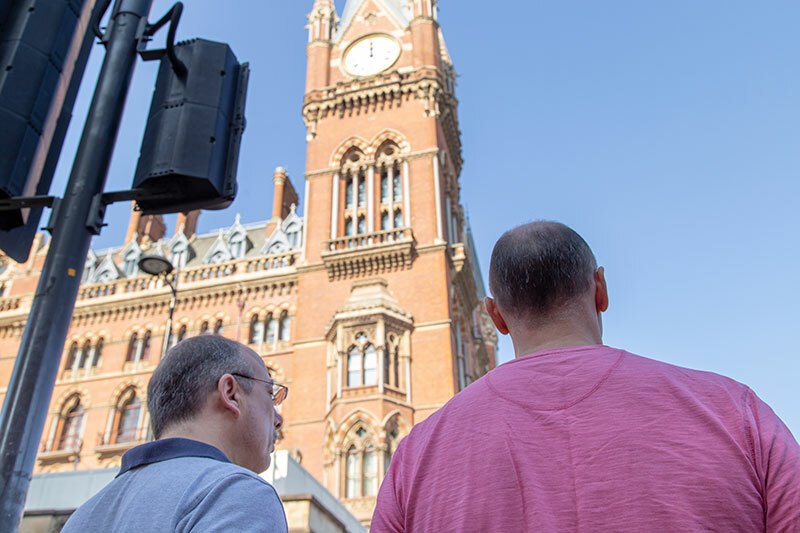 It’s not just a landmark of gorgeous classic Victorian architecture blended with the newest of ideas, it’s also hub that helps you get from one place to another. It has over 160 years of history and it’s well worth exploring. The Central Hotel is a family-run business, led now by its third generation, in the form of two brothers, Emmanuel and Arthur. The hotel was established by their grandparents in the 1960s when they moved from Malta to London. Just over 35 years ago Emmanuel joined the family business and started working in the hotel when the reservations where still received by letter. Arthur joined the hotel just a few years later. The purpose of our hotel is to help our guests enjoy this amazing city. That’s why our rooms are small, cosy and have all the essentials our guests might require for their stay. Our parents taught us to treat each customer like a family member and this is what we do every single day. It’s not just a hotel for us, it’s our home, it’s our passion, our hobby and our soul. We give everything we have to the hotel and we love meeting new people from across the world on a daily basis. We know our guests by their first names, not by their room numbers and we’re always ready to find the best attractions and events to share with our guests. We all need to remind ourselves to live in the moment, to experience new things and places. We are all glued to our phones and our screens on a daily basis, so when we travel we need to walk more, talk to strangers, make new friends, learn new cultures then use these experiences to create new memories in our hearts. Go out and explore in the daytime and return to our cosy beds at night to rest and energise for the next day. Our goal is to make our friends (guests) feel like they are home when they are sleeping and a passionate tourist when they are exploring the city.